My knowledge of the old IntelliVision console and games is fairly limited. I first learned about IntelliVision when I was about 9 years old through a book called “How To Win At Home Video Games”. It was a spiral-bound book that covered game tips and reviews of games for Atari 2600, IntelliVision, Odyssey2 and ColecoVision. 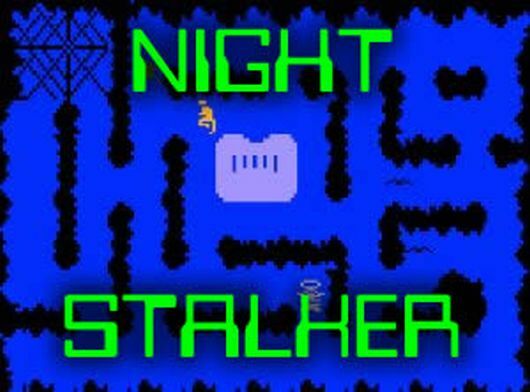 The stand out game I recall in the IntelliVision reviews was for Night Stalker – it just looked like an interesting game to me. Over the years I picked up other bits of information about the IntelliVision system through numerous websites and video reviews. A major gripe that’s common is the controller with its direction disc. Since the controllers are hardwired to the system it’s not like you can easily unplug and replace them for something more user-friendly. A month ago I happened to be in Cash Converters in Salisbury looking to see if they had any X Box controllers (the original not 360), as my kids had destroyed their last working controller. I had ordered a couple on Ebay, but they would take a while to arrive so I wanted something for the meantime. Luckily they had a controller in stock for $9. Sitting near the SNES and Nintendo 64 stuff there was a box for this thing called ‘Intellivision 10 Video Game System’. I have seen remakes of old computer games in a somewhat similar ‘plug directly into AV’ format before, and have generally found the quality of the product to be questionable. But the price tag said $1 so I figured why not give it a go? If it didn’t work I’m only out a dollar. I bought it and opened it up when I got home. All there was inside the box was the controller/unit itself, the cheap plastic display casing and no instruction manual. Most things like this come with something, but how hard could it be to work out games made in the early 80’s? The unit itself looked fairly robust and didn’t feel like it was too cheaply made. The unit also felt a little heavy so I turned it on to see if it had working batteries. It did – a LED popped on. Awesome! Even if it doesn’t work I’ve made my money back in AA batteries. The AV cables only have two ports so video and mono sound seems to be it. Do I really need IntelliVision in stereo? No. The awful controller problem does not exist with the Intellivision 10 as it’s designed more like the game controllers that people are used to nowadays. A direction pad, start/select buttons, a reset button, 2 shoulder buttons and A cluster of buttons labelled A,B,X,Y with turbo written above the X and Y. I’m guessing these are turbo fire versions of buttons A and B. I could see this was no mere Atari 2600 1 button joystick I was dealing with, we’re talking games possibly of the complexity of the NES and SNES here. Well… maybe with lesser graphics. This should be awesome. One drawback I thought of right away is with one controller there are no two player games. Maybe two player where you take turns, but no awesome duels playing games like Combat or Outlaw on Atari 2600. So the multiplayer element is already lost, here’s hoping they put some good single player games on this thing! Baseball is… well, baseball. You start fielding, throw a pitch (I assume you choose a direction for type), batter hits or misses, you field the ball and have some control over where the fielder throws it. After a couple of pitches I got lost on how to throw it to home plate or the pitcher’s mound and figured I probably need the instructions for this one. 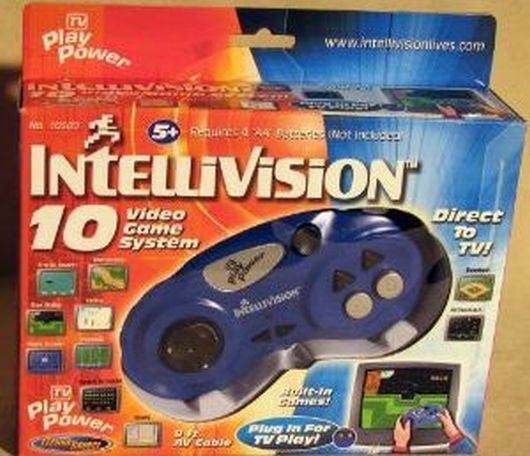 I think the original IntellVision games came with overlays so you knew what button does what on the controller. I could probably go online and find instructions but I can’t be bothered prednisone $10.00 – few sports games can hold my interest. As far as I could tell it only used the A button. Graphics were okay I guess, nothing the Atari couldn’t do. Motocross isn’t bad, but it’s not great. You ride a bike around a 3D-ish course, one button accelerates and the other brakes. You can choose how many laps you want to run. No opponents just racing for the best time. The physics on the hills isn’t bad – if you don’t hit the hill at a reasonable speed you can’t go up it. To be honest I’ve played more fun racing track type games similar to this (Sprintmaster on Atari 2600 comes to mind), but which had opponents and didn’t need all the 3D stuff. 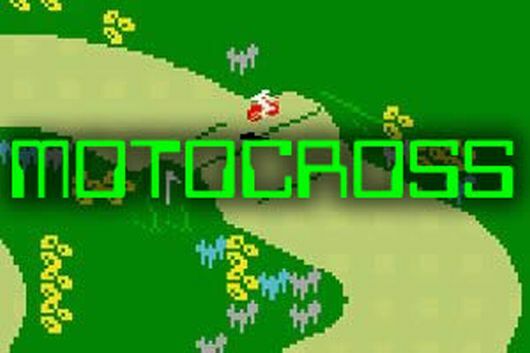 Motocross looks good, but there really isn’t a lot to the game. Night Stalker is the game I’ve been waiting years to try. You run around in a maze (of sorts) and if you pick up the gun you can fire at enemies. There is a spider who starts on a web, birds that stun you when they hit you and a robot that kills you via bullets or contact. You run around, shoot the birds/spider/robot and after a while (I’m guessing after reaching about 5000 points) the maze changed a little and the robot changed too. Plus the robot got faster. It’s kind of reminscent of Berzerk, but it’s nowhere near as challenging. I didn’t get an adrenaline rush as you dodge about and shoot stuff, although when you die or run out of bullets (I think you have 10 shots) you lose the gun and have to get to it again which can be a little exciting. It’s interesting how the robot can also kill the birds and spider, but they respawn. It’s not a bad game but I’ve played better. It feels like a Berzerk clone and you can’t beat the original. I think Star Strike is meant to resemble something like the trench run on the Death Star in Star Wars Ep 4. One button fires up, the other fires down and you move a cross hair (shots come from the cross hair). The flashing on the sides of the trench would give an epileptic seizures. This one could be another I need instructions for as I couldn’t really tell what I was shooting at and I seemed to die randomly. If it’s meant to be a first-person space shooter then it’s badly done. 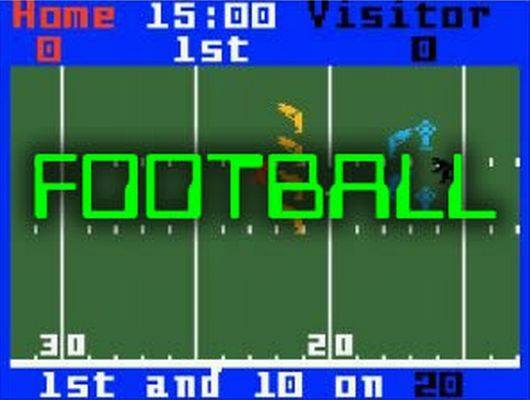 Football – oh yay! Another sport’s title that is barely relevant in Australia. The players run on the field and form two huddles. Okay I’m on offense and I select a formation/play using the direction buttons on the next screen. It waits for a defensive play to be elected then goes back to the football pitch. Someone hikes the ball, I move my guy with the ball a little and he gets gang tackled. Wonderful. Back to selecting the next play. I selected a play then put up a message saying waiting for defensive play and sat there for about a minute doing nothing. I don’t know if the computer is just slow selecting a play (it was pretty quick last time though I button mashed a little) or if it wants me to elect a defense. So I button mash a little again. Nothing. Oh well, screw this game it’s only Football. Don’t see me ever playing this again. Shark! Shark! is a simple enough premise. You start as a little fish you eat smaller or equal sized fish (or lobsters/crabs at the bottom), to grow. You can’t eat the shark but you can nip at its tail a few times and kill it (it sinks to the bottom which is pretty cool), but you have to be fast as the shark will reverse and try to eat you. A button allows you to speed up which is handy. Out of all the games on the IntelliVision 10 this is by far the most fun. I’d have loved to have seen a game like this on the Atari 2600 and it’s not beyond the system’s capabilities. It looks good (the random air bubbles rising up and swaying seaweed at the bottom are a nice touch) and the controls are nice and fluid. 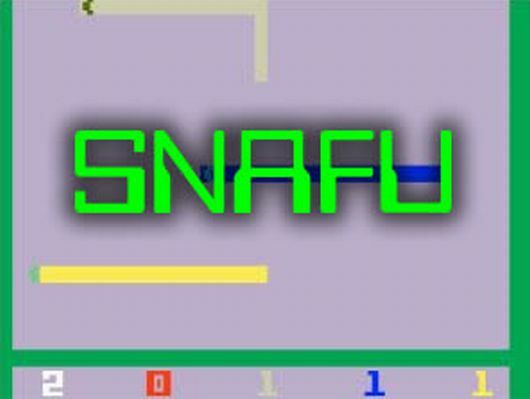 To cut a long story short Snafu is basically Tron Light Cycles. You can choose how many opponents you have (0 to 3) and how many rounds to play. Whoever survives without crashing into their tail wins the round. Buttons do nothing except start the game from what I can tell. Graphics are simple. Control is a little slow – you have to preemptively turn to avoid crashing and fine maneuvers (like a tight 180 degree turn) seem impossible. I can imagine what a nightmare it would have been to play using the disc on the original IntelliVision controller! 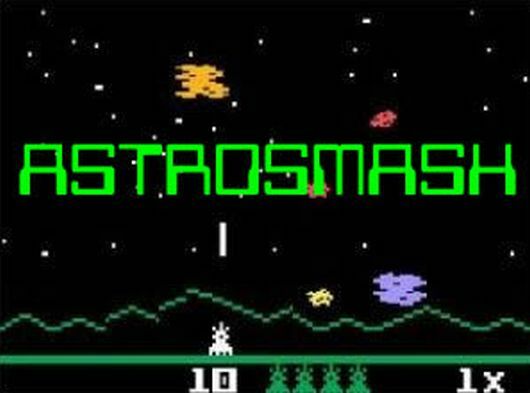 Astrosmash reminds me of a cross between Asteroids and Megamania on Atari 2600. The asteroids fall, you shoot them, the big ones break into smaller ones and you try not to die. Every now and then a white space ship/satellite thingy falls and if you don’t shoot it you die when it hits the bottom. It’s not bad, but I can see it getting old fast. Skiing has a few unexpected surprises. To start with there are 15 runs you can choose between and each run has two courses. You can play up to 4 players, but not at the same time. A neat addition to your standard downhill skiing game I like is a jump button so you can leap over snow banks. Other than that it is basically skiing down a hill, avoiding the trees and snowbanks, skiing between the flag gates and trying do it as quickly as possible. The collision detection on the trees is interesting as you only wipe out if you hit the bottom half of the tree which makes sense. Graphically it’s not great, but you can tell what is what. 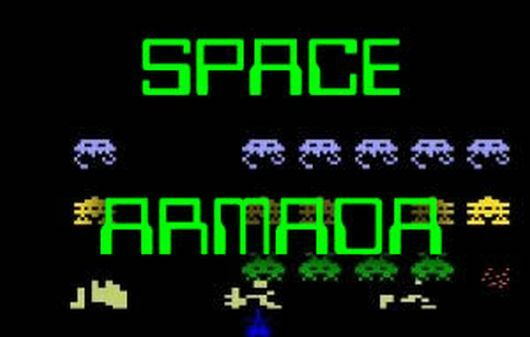 Space Armada is clearly a Space Invaders clone and an awful one at that. Multicoloured aliens (each row a different colour) isn’t bad, but they are blocky and huge. Your cannon at the bottom of the screen looks and moves like crap. Just as well button B does a little warp (your ship jumps to the left or right about 3 ship widths, depending on what side of the screen you are on) so you can dodge quickly if you have to. Each wave moves at the same pace until you destroy them all. Each wave gets faster than the last. I made it up to about wave 4 until I lost the game. As soon as the bottom row touched the shields it was game over. I think I’ll stick to Space Invaders on the Atari 2600 – the aliens may not be colourful but they look a lot better and don’t take up half the screen. Also your cannon is maneuverable and aliens speed up as you kill them, making the challenge fun. Space Armada is not fun. In conclusion, after playing the all of the games it’s clear that this controller is deceptively complex. Each game used a maximum of two buttons. The Shoulder buttons are just copies of A and B, X and Y are auto fire variants for A and B. To be honest I didn’t need auto fire as the controller is comfortable enough to use and rapid fire isn’t really rapid fire when you have to wait for a shot to go off screen. Sound-wise the games were pretty basic, nothing the Atari 2600 can’t do. I’ve heard you can get a vocal processor for the IntelliVision for certain games, but none of these had voices- just blips, beeps and burrrs. Shark! Shark! clearly is the best game on the IntelliVision 10. Night Stalker is a distant 2nd. Snafu, Astrosmash, Skiing and Motocross I’d say equal third. 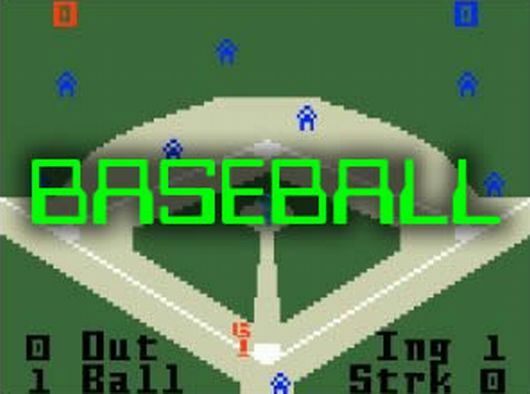 As for Baseball, Football, Space Armada and Star Strike – forget them! Maybe with instructions Baseball and Football may be better as you know what you are doing, but I’m not a fan so it doesn’t apply to me. 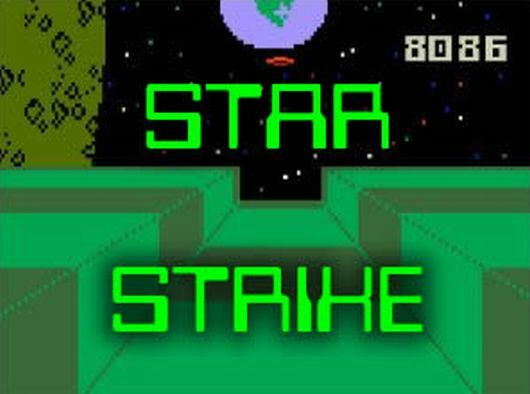 Star Strike might be better if I knew what I was doing but I doubt it, the game feels badly designed. Nothing could save Space Armada from its overall suckiness. Buying an IntelliVision 10 was an interesting experience to try out some games on a system I have never played before. Looking at the website on the box they released a second IntelliVision 10 with 10 different games a few years later. I might take a stab at it if I see one around cheap enough, but I won’t be going out of my way to find one. I think they may have released IntelliVision game compilations on the current generation consoles (PS3, Wii, Xbox 360) too. Did I get my money’s worth? Absolutely! I only invested a dollar, plus it had batteries for a great game, a good game, 4 not bad games and 4 awful games. I had a look on Amazon and they are selling these things for about $5-10US (depending on the seller) but I assume batteries are not included. Would I buy one at that price plus shipping to Australia? No. If I saw one for $10 in a shop here I’d take the gamble on it ($1 a game is good value), but if there was a classic collection on a similar unit for Atari 2600 (with all the great games included priced $10-20) and I had to choose between the two- I’d get the Atari one. I don’t think the IntelliVision was ever released in Australia and I can see why – the Atari 2600 was so much better (even if it had games like Pac Man and E.T). 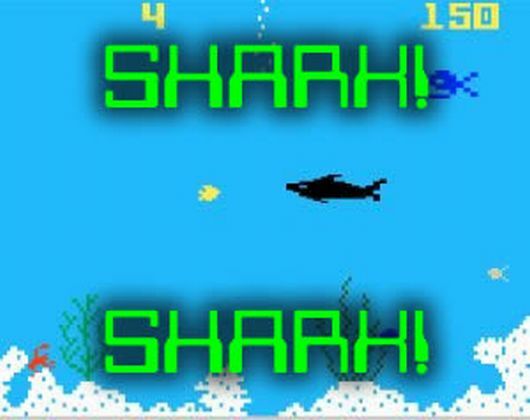 That said Shark! Shark! is awesome. Next ArticleCompetition Time: Wreck-it Ralph movie tickets!! Occasional Retrospekt games reviewer, DJ, and (apparently) a horse.